Galatasaray to move for Arsenal striker? 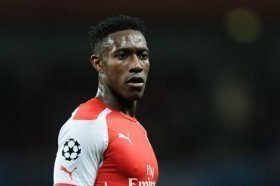 Turkish giants Galatasaray are reportedly among the front-runners to pursue Danny Welbeck on a free transfer from Arsenal when the season concludes. The England international has endured a mixed career with the Gunners where he has suffered multiple long-term injuries and the latest one happened last month which has sidelined him for the rest of the season. Amidst this, there are reports indicating that the Gunners may release him when his contract expires next summer and it appears that Gala are prepared to pounce on the situation. According to The Mirror, the Turkish champions are planning to retain their long-term interest in Welbeck at the end of the season whereby the marksman will have reached the final stages of his recovery following a double ankle surgery. Welbeck was previously fancied to stay put with the Gunners next season after making a positive start with five goals under Unai Emery but the latest injury comeback appears to have encouraged the board to part ways with him.